I love travelling to Greece, and I also enjoy sharing stories and photos of my personal experiences visiting this beautiful and charming Mediterranean country. I have posted albums with more than 30,000 photographs of Greece in the mygreecetravelblog photostream on Flickr.com, and I am an active contributor to the Greece travel forum on TripAdvisor.com, where I’m a Destination Expert for Mykonos. I created this blog as a hobby project to share my tremendous passion and enthusiasm for Greece. The blog content features trip reports and photos from my many holidays in Greece, as well as photos, videos and information about some of the myriad places I haven’t yet been to but would love to visit if I get the chance someday. I hope my blog can encourage and inspire others to discover this amazing and enchanting destination, which offers a wealth of attractions and activities for people of all ages and backgrounds. 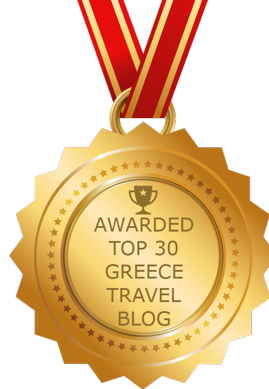 Besides regularly publishing pictures and articles on this blog, I post and share a wide variety of content on the My Greece Travel Blog Facebook page, which anyone can view even if they don’t have Facebook accounts. The news feed on my Facebook page includes photos of scenic places all over Greece, as well as links to travel-related news and events and links to helpful trip planning sources. I share material on the Facebook page practically every day, so there’s always something new and interesting to see. Please note that I am not a travel agent or travel consultant, and do not offer personal travel planning services either for free or for compensation. If you need assistance planning a trip to Greece, please contact a travel agent or consider posting questions in the travel forums on various online travel websites, including TripAdvisor.com. As a personal policy, I do not publish advertiser-sponsored articles or advertising text links either for free or for payment, and I will reject any such requests to publish promotional material. Writers and/or photographers interested in submitting a guest post, photos or videos about a particular destination in Greece, or general travel to the country, are invited to contact me with their article proposals. Please note that the majority of photos published on my blog were shot either by me or my partner. Any photos that I obtained from another source will be identified with credit information in the picture caption. If one of your images has been incorrectly credited, please notify me so I can correct the caption promptly. fabulous photos Don, many of my favorite places. What a wonderful travel blog Don. I know I will bookmark it as a favourite. Just as I expected Don, a superb collection of images. Terrific quality too. What brand of camera are you using? 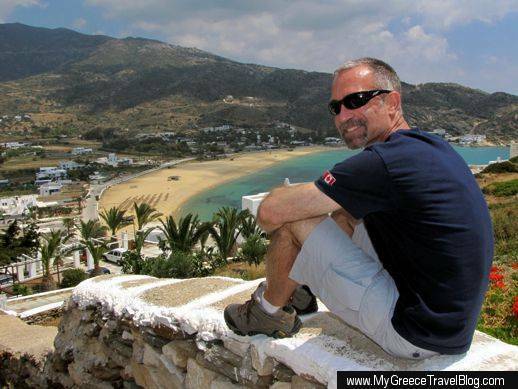 Can not think of a better person to ask for details and advices for many Greek popular islands such as Mykonos and Ios. just a quick mail to share your love for Greece and Mediterranean in general. So much love that 2 years ago I moved to live and work in Athens and now I don’t stop discovering the beauty of this city and the islands. I simply just couldn’t live anywhere else any more!!!! Spent the weekend reading your blog, loved all your advice on trip advisor but your blog is a wonderful gift! Thank you so very much, now I’m even more excited to explore the islands and Athens! Really beautiful photos that do Greece justice. As Expected hugely informative,I cannot do what you have put together even having worked in Tourism and lived In Mykonos! Congratulations! How do you find time to do all this wonderful things!?? I am always running even that iI have retired !Best wishes all the same! First traveled to Greece overland by bus in 1983! Still stunning. Still incredible. You have really captured the unique essence of the beautiful country. Fantastic site, thank you Donny! Naxos and Andros photos are really useful, as we’re planning to visit both in September. Thanks also for your TA advice! Followed your guide and hiked from Paradise Beach to Platis Gialos, Mykonos on 28 April 2015. Had a wonderful time. Thank you so much, Donny B.
Glad you enjoyed it, Steven! Thanks for posting to let me know — I appreciate the feedback. Hello, this blog looks great! My finance and I want to go to the Cyclades for our honeymoon in early June but have no idea which islands to choose. We would like to go to two and do some sailing in the middle. Do you have any posts that might help me decide? We obviously want something romantic but not too touristy. If you have done any sailing I’d love to read a post on that too! I just landed to your blog. I m Greek and I can almost say the same about you my friend! U are almost Greek in the heart and soul! I m new to blogging and I like your blog very much! For sure I will read it carefully! Have fun and maybe some day I will meet you in Mykonos! The Greek islands are a bliss… I wish I’ll be able to see them all!!! Your tips gave me lots of ideas for this summer’s vacation, thank you! I love your pictures by the way. What a remarkable collection you got there on Flickr <3 Keep up the good work, safe travels!